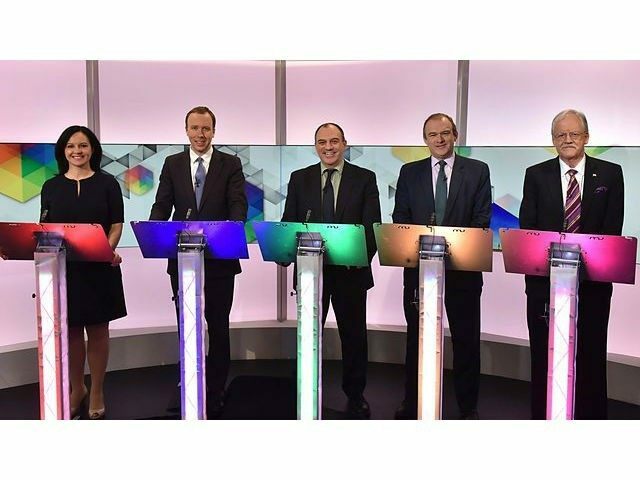 The BBC’s Daily Politics has just staged a party political debate on energy and climate change. It was every bit as awful as you would have expected: four politicians (Labour; Conservative; Green; Lib Dems) spouting pure, unadulterated drivel; one talking perfect sense and being marginalised and derided for it (UKIP’s Roger Helmer, natch). Apart from Helmer, the only good thing about it was inquisitor Andrew Neil, who is very much on top of the mainstream arguments about climate change and current energy policy – and is perfectly aware that both contain holes so vast they make the one in the ozone layer look like a pinprick. Perhaps that’s why, to ensure Neil behaved itself and didn’t go too far off message, the BBC insisted that its resident Climate Commissar, green activist and broadcaster Roger Harrabin should sit alongside him to chip in his ‘expert’ tupenny ha’penny’s worth – a bit like a less informed and much less funny Richard Osman from Pointless. Had Harrabin been doing his job properly he would have berated the pillock who declared “Ocean acidification is a scientific fact” and cited this to demonstrate why, even though global temperatures have been at a standstill for 18 years, there are other aspects of climate change which present a serious threat. Unfortunately, the ignorant pillock was Harrabin himself, so he couldn’t, really. Helmer gave a pretty good rebuttal to Harrabin’s claim but here, just to rub it in, is a reminder why “Ocean Acidification” is a busted flush. Indeed the evidence for it is so shaky, it may even rival Michael Mann’s “Hockey Stick” for risible hokiness. Matthew Hancock, representing the Conservatives, looked pale, awkward and out of his depth – as well he might as an educated bloke with a City background who’d been drafted in to speak up for fatuous, scientifically-illiterate, economically suicidal policy measures with which not even the majority of Conservative voters agree. Neil asked him whether he thought “global warming” had been responsible for last year’s floods. Hancock said he thought it had. Neil then whipped away the camouflaged sheet covering the caltrop-filled pit. A survey had just come out at the weekend revealing that most Conservative voters disagreed with him. And rightly so. There is no evidence whatsoever to support Hancock’s claim that “there has been an increase in erratic weather behaviour” because of climate change. Not even the IPCC’s most recent report supports him on this. Meanwhile, Energy and Climate Change Secretary Ed Davey – representing the Lib Dems – was caught out several times speaking unutterable guff. Davey claimed – untruthfully – that the computer models had predicted the “pause” in global warming. Even Harrabin felt compelled to chip in that this wasn’t the case. Davey floundered that lots of them had. “They predicted it after the event,” said Helmer. Helmer acquitted himself well – but then, he was the only politician on the panel with a science background (Maths) and, rather more usefully, the only one whose party policy on the environment and climate change is grounded in scientific and economic reality. Will the debate have made any difference to anything, though? Probably not. Like all the other debates we’ve seen on TV so far, it was a hugely dispiriting reminder of the vast gulf that now exists between the mainstream political parties and the people they supposedly represent. Out in the real world, only a minority think that climate change is a serious threat; out in the real world, most people would much rather have lower energy bills than be forced to subsidise ugly wind farms and solar farms (which they loathe if they’re on their doorstep); out in the real world, people would prefer Britain to be able to decide its own policies on farming, the environment and flood control rather than have them imposed from outside by the EU. Yet none of the two main parties gives a stuff what these voters think. And the only one that does – UKIP – continues to be treated in this grotesque election cycle not as the truth-tellers they are but as dangerous pariahs.